When my family moved from the capital to a small university town in the north of Sweden, my father became a hunter. He carried out this new hobby fairly unnoticed. He disappeared during the weekends in September/October and returned to the city with delicious moose meat that would last the year. One time, as a child, I got to accompany him to the place of slaughter. I remember it as if I was entering some mysterious male world with weapons and blood; strong, proud and confident people; the smell from the dead animal’s body parts and a sense of excitement and disgust. Everything about it felt important, powerful and violent. I was proud of my father that he could manage in this world without fear. At this point however, picturing my future self as a hunter, would never ever have struck my mind. Later, I started to question why that thought seemed so impossible. The answer: because I was a girl. The Western way of thinking about men and women and their relationship to nature and violence have historically been characterized by supposed opposites. Men have been described as rational, active and aggressive, a civilized force that conquer and manipulate nature and animals. Women have been assumed to be soft, nurturing and peaceful, possessing a strong connection to nature, or even considered to be a part of its wild chaos. Anthropological theories of hunting, where man is the hunter and woman the gatherer, have immortalized these gender stereotypes. The conclusion from this view implies that women and animals are the prey and men the predators. Testimonies of female hunters question this interpretation. Hunting’s popularity among women seems to be growing in the western world. 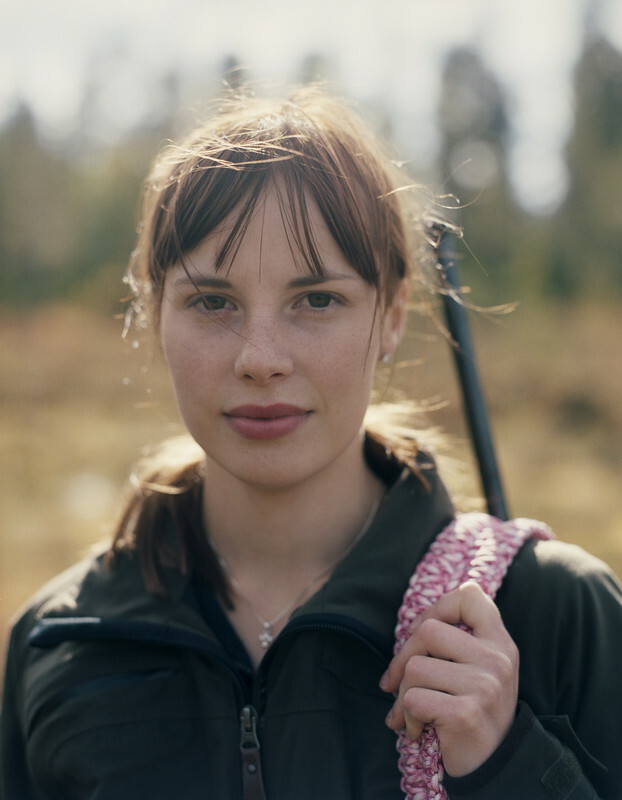 In Sweden there are about 18000 active female hunters and of those who take their hunting degree one in five is a woman. 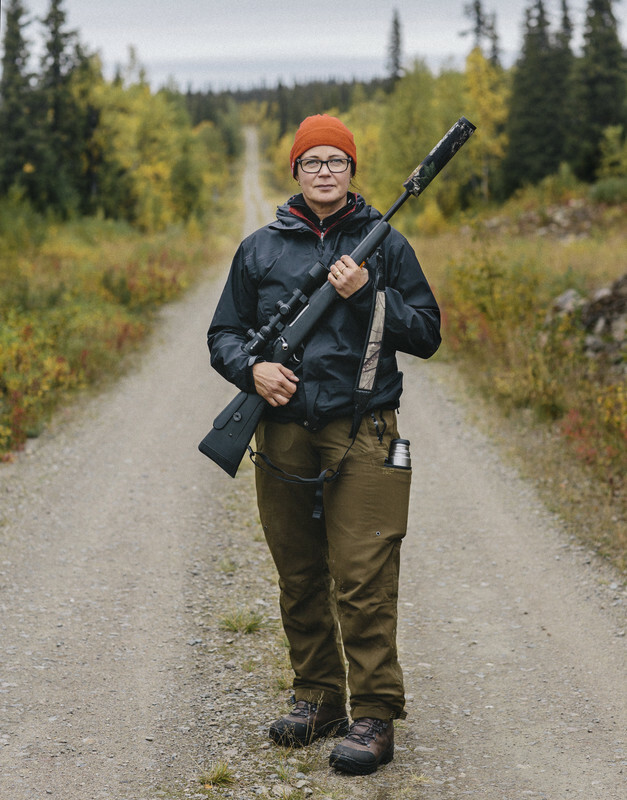 I became curious and learned that the municipality of Sorsele in the rural north of Sweden possessed the highest percentage of female hunters in the nation. I went there and followed a couple of hunting teams during the moose-hunting season. I chose to leave out the men to only photograph the women. I wanted to create a visual female universe to investigate what it would look like when women - exclusively - stepped into the roles of predators.